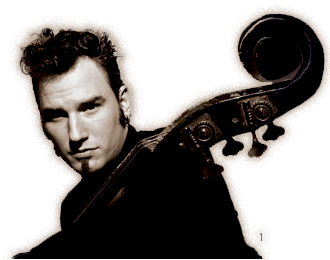 Besides being known for his wild stage presence, the bassist/composer/singer Djordje Stijepovic (prn: George-eh Stee-yeh-po-vich) is largely considered as one of the world’s best slap style upright bassists. 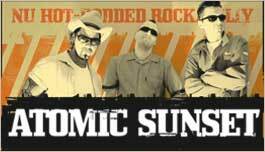 He is the bassist/singer for Tiger Army, Drake Bell (of Nickelodeon’s Drake & Josh fame) and he leads contemporary rockabilly band Atomic Sunset. 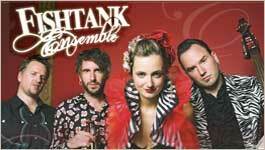 He was also a member of the rock’n’roll supergroup Head Cat (with Slim Jim Phantom of Stray Cats and Lemmy of Motorhead) and US Gypsy music stars Fishtank Ensemble.Djordje’s musical interests started after hearing rockabilly musicians like early Elvis Presley and the Stray Cats. As a teenager in Serbia during difficult times, while his country was bombed and under 10 years of sanctions, he could only dream of attending concerts of his teenage heroes. Never losing faith, he has achieved his dreams and more. He has played all over the world with some of the biggest rock’n’roll, blues, swing and bluegrass artists including Presley’s sidemen Scotty Moore band and DJ Fontana, Dale Hawkins, Wanda Jackson, Donovan, Billy Boy Arnold, Tommy Emmanuel. Molotov and others. Djordje has Conservatory degree in classical double bass performance and degrees in jazz bass and jazz arrangements, but his real education came from smoky eastern European juke joints where he played since he was 13 (often being the youngest in the bar). He has the rare ability to switch between many different music genres. His playing can be heard on world music recordings of Gypsy band Kal (#1 on World Music Chart Europe), electronica Beats Antique, Rupa and the April Fishes, Sephardic Shira Utfila (RASA Award for the Best World Music Ensemble), Persian Kiosk and others. He regularly collaborates with some of America’s best bellydancers (Rachel Brice, Mira Betz) and is featured as a solo artist on the latest Serbia Sounds Global compilation “All Stars” among Balkan legends like Saban Bajramovic, Boban Markovic and Zvonko Bogdan. Djordje’s latest project is the website Art of Slap Bass where he interviews and promotes current exponents of this style, ensuring that this lost art never disappears and finally earns well-deserved recognition. 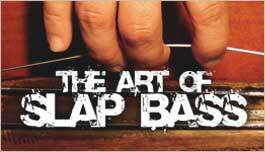 He also wrote the first book about the history of slap bass and plans to publish it with a series of instructional videos. Djordje Stijepovic proudly endorses Blast Cult basses, Thomastik-Infeld strings, Orange amps, CodaBow bows, Mogami cables and Mojave microphones.